Whether you're new to GigMasters or you're looking to improve your rank, we want to help you score more gigs! First, we want to make sure that you know how vendors are ranked. When party planners search GigMasters, they enter their event location and the type of service they're looking for. The site returns a “best match” list of vendors, which is calculated based on location, category, and total booking dollars (earned during the past six months). If you're trying to seal the deal on that first gig, now's the time to follow up! If you get hired for a gig (scratch that, when you do) you can ask your client to confirm through their GigMasters account, or you can login and book it yourself. Go to the inbox, which is in the Leads section of your account, locate the gig and click the “Book Now” button. 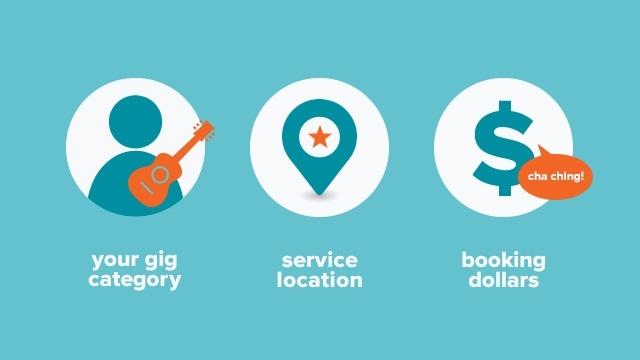 Booking with GigMasters will improve your ranking, allow clients to leave you a review, provide trust and security, and allow you to collect online payments. We strongly believe that our booking system works in your favor - GigMasters gigs lead to more gigs!